New managed private cloud solution offers agility and speed by eliminating operational overhead while new Industry Solution reduces deployment risk and accelerates time to value. SUNNYVALE, Calif. — June 7, 2018 — Cisco (NASDAQ: CSCO) and NetApp (NASDAQ: NTAP) today announced new FlexPod® solutions. FlexPod combines Cisco UCS Integrated Infrastructure with NetApp® data services to help organizations accelerate application delivery and transition to a hybrid cloud with a trusted platform for innovation. The new Managed Private Cloud solution offers new consumption options for more flexible access to powerful IT infrastructure and applications as customers modernize their data center for hybrid cloud. Additionally, FlexPod Datacenter for Epic EHR, a key healthcare application, is the first in a series of new pre-tested vertical solutions, with support for more healthcare applications, coming soon. FlexPod continues to be a platform for innovation and investment protection, introducing new validated solutions for the latest virtualization software, enterprise applications, and databases incorporating the latest technologies from Cisco and NetApp. According to IDC, Cisco and NetApp have recorded market-leading growth with FlexPod, showing double-digit, year over year growth for five successive quarters. The new Managed Private Cloud solution built on FlexPod enables customers to realize a cloud-like, As-a-Service model for their on-premises IT. The FlexPod infrastructure would be located on-premises but managed remotely, securing critical customer data and advancing cloud-capabilities for both partners and their customers. This solution will be delivered by channel partners. Initial delivery partners include Dimension Data, ePlus, Microland, and ProAct and as the program evolves it would expand to a larger set of partners. New FlexPod industry solutions provide a proven platform to quickly deploy key applications across industries that are challenged by the increasingly diverse, dynamic and distributed nature of data. Launching today, FlexPod Datacenter for Epic EHR simplifies IT infrastructure for healthcare customers, helping them move faster and unleash new insights for improved patient care. Together, NetApp and Cisco are providing customers with a secure, reliable, and highly available platform for their most business-critical applications by providing best practices and sizing guidance to reduce risk and accelerate deployments. Additional solutions will extend support to other applications and industries later in the calendar year. FlexPod continues to be a platform for innovation and investment protection with the release of new validated designs that address customers' most pressing business needs. In addition to the new healthcare and managed private cloud solutions, new designs have been released across the FlexPod Datacenter portfolio. This proven FlexPod platform for IT modernization has been refreshed for both VMware vSphere and Microsoft Hyper-V environments incorporating the latest technologies from Cisco UCS, Cisco ACI and NetApp All Flash FAS storage. The SAP and SAP HANA solution, foundational for several successful enterprise customers and service providers offering Hana-as-a-Service, was refreshed in May 2018. New solutions have also been released for desktop virtualization (Citrix XenDesktop/XenApp and VMware Horizon View) and Microsoft SQL 2016. Additionally, the new NetApp IP based MetroCluster can be combined with Cisco ACI to form a single fabric spanning active-active datacenters for a robust Business Continuity solution. Learn more about FlexPod validated designs and their multitude of benefits here. "We wanted to use technology to reinforce our commitment to innovation in patient care," said Austin Park, Epic Infrastructure Team Leader at LCMC Health. "We've exceeded all expectations of the best possible patient care scenarios by running Epic EMR on our FlexPod with AFF infrastructure. With rapid, secure access to patient data, our caregivers can respond to patients' needs quickly, armed with the right information." "It's no surprise that FlexPod continues to lead the market as the fastest growing converged infrastructure solution," said Ranjeet Sudan, vice president of Converged Infrastructure at NetApp. 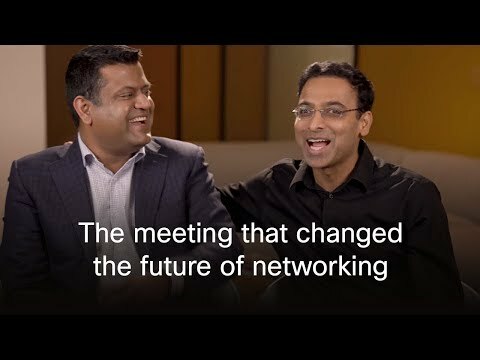 "Our long-running relationship with Cisco has combined best-in-class technology and expertise to create one of the strongest and most successful partnerships in the industry. Together, we are enabling organizations to truly access the full value of their data despite the rising complexity of applications and workloads." "We are proud of our continued innovation with NetApp as we further expand FlexPod's powerful capabilities with support for industry-specific applications and new consumption models," said Siva Sivakumar, senior director, Data Center Solutions, ‎Cisco Systems. "With these new offerings we are helping organizations accelerate deployment of their business-critical applications and providing a secure, robust, and flexible private cloud infrastructure that has the speed and simplicity of public cloud." "As a global leader in both systems integration and managed services for hybrid IT, Dimension Data is excited to add the new FlexPod Managed Private Cloud service to our portfolio of hybrid services," said Rob Lopez, group executive, Digital Infrastructure for Dimension Data. "Our enterprise clients across 47 countries demand on-premises cloud solutions that improve business agility, simplify business processes and reduce time-to-market, as well as offer assured confidence from partnering with leading technology providers, such as Cisco and NetApp. Ensuring we deliver an exceptional end-to-end Managed Private Cloud solution to our clients, along with our market-leading security and networking services, enables us to help accelerate their digital transformation journeys." "With operations in the U.S., U.K., and India, we provide advanced technology solutions optimized by professional and managed services to drive meaningful business outcomes for our multinational and commercial customers. We are proud to build upon our long-standing partnership with NetApp, including status as NetApp's FlexPod Partner of the Year, and expand our portfolio to include Managed Private Cloud. We look forward to continuing to support customers throughout their cloud journey, helping improve business agility and enable technology innovation with an intuitive solution to provide self-service consumption, increase flexibility, reduce complexity, and also provide support to the entire solution of on-premises private clouds as they modernize their IT infrastructure," said Sudheesh Subhashithan, Vice President Cloud Services at ePlus. "The new Managed Private Cloud solution enhanced and configured with Microland's managed services enables us to further accelerate digital transformation, drive profitability, improve efficiency and advance process and system effectiveness for customers across Asia, Australia, Europe, Middle East and North America," said Pradeep Kar, CEO of Microland. "As one of the first and largest FlexPod Premium Partners in Europe, we have used Cisco and NetApp technology for many years in our enterprise class managed services. We are therefore thrilled to add the new Managed Private Cloud solution to our portfolio, giving us even stronger capabilities to efficiently and effectively manage on-premises private clouds for our customers across Europe," said Paul Bates, vice president for Managed Services at Proact IT Group. Read more about this announcement on the Cisco blog and the NetApp blog here and here. For a demo of FlexPod's new solutions, please visit NetApp at Cisco Live in booth 2005. FlexPod is a portfolio of prevalidated, converged infrastructure solutions that combine the Cisco Unified Computing System integrated infrastructure, Cisco networking, and NetApp storage components. FlexPod simplifies and modernizes IT with continuous innovation, delivering unmatched application performance, broad support for any cloud strategy, and improved operational efficiency to accelerate data center transformation and business evolution. Built for enterprise and service provider data centers, FlexPod is validated with leading hypervisors, operating systems, system management tools, and cloud management platforms.